Warren Armstrong has been reporting stories in Central California for more than thirty years. He currently co-anchors Action News Live at Five, Live at Six, and Live at Eleven. Originally from Wooster, Ohio, Warren graduated from Ashland College (now Ashland University) in Ashland, Ohio. While in college, he anchored and reported at WRDL-TV/FM. Warren also worked as an Anchor/Reporter at WTOV-TV in Steubenville, Ohio/Wheeling, West Virginia, KJEO-TV in Fresno, and KTXL-TV in Sacramento. He returned to Fresno and joined the news team at KFSN-TV in 2000. 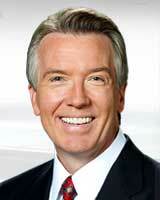 Warren is an award-winning broadcast journalist. His extensive news experience has taken him and his viewers from Fresno City Hall to the White House and from the Sierra to the 38th Parallel in Korea. Warren and his family are proud to make their home in Fresno, where he believes in serving the community. This week's State of the Union address featured many memorable moments, but Valley members of Congress said President Trump's recognition of three World War II veterans was the highlight of the night. More and more kids are eating junk food! According to the Centers for Disease Control and Prevention, on any given day, more than 34 percent of children and teens ages two to nineteen eat fast food. A program in the South Valley is teaching students leadership skills and turning them into community heroes.